NEW OBA ROWLAND SINGLE!!! MY NIGGAZ!!!! Its been a while since OBA ROWLAND has dropped a new single, and we sorry for keeping you waiting. But, to apologize we hittin’ you in the face with brand new music!!!! 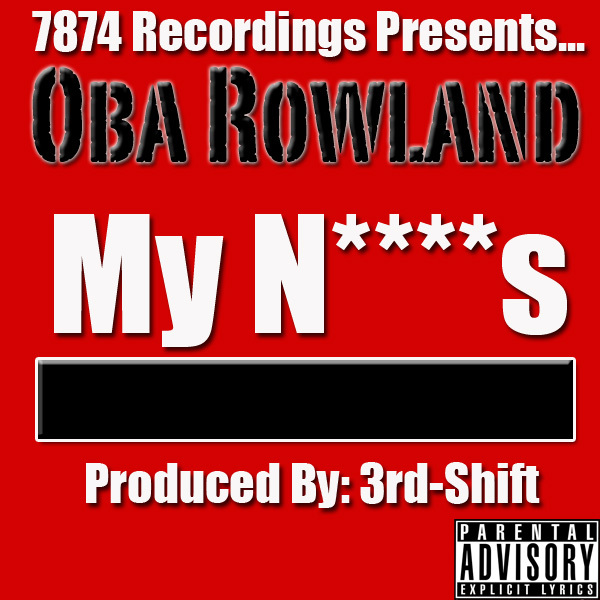 Oba Rowland’s new single MY NIGGAZ will debut JULY 8TH, 2008. However, this tuesday there will be a snippet released, then the following Tuesday another snippet will be released. Then, July 8th, to CELEBRATE the single being RELEASED on ITUNES and AMAZON, the single will be delivered to THE CINCINNATI MONSTER.COM for the loyal viewers for FREE! The single will be included on the COUP D’ETAT pt. 2 and 3RD-SHIFT’s MIND OF A MONSTER Southern Smoke Mixtape! DONT FORGET TO NOMINATE 3RD-SHIFT FOR BEST WEBSITE @ THE OHIO HIP-HOP AWARDS!